Tiara Air Aruba is an airline based in Aruba. 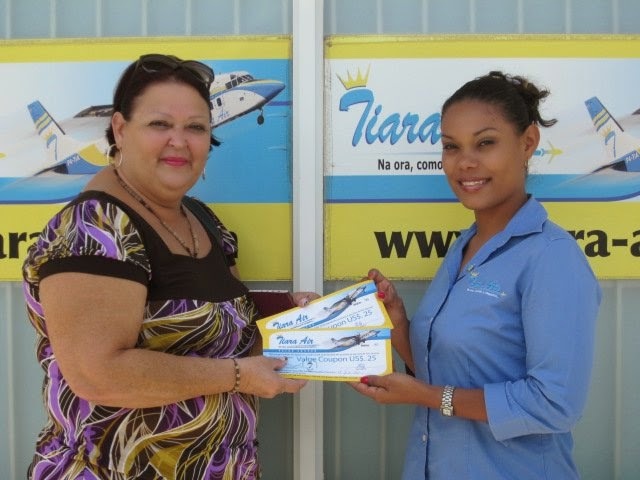 Tiara Air has flights to Curaçao, Punto Fijo, Bonaire and Riohacha. The airline is operating two Shorts 360 twin-engine turboprop aircraft built in 1983 and it is rumored there are plans to upgrade its current fleet with regional turboprops/jets. The airline is currently based at Queen Beatrix International Airport. Alejandro Muyale, the director, named the airline after his daughter Tiara Muyale. The word "tiara" is derived from Latin, meaning "crown". The air agency is now located in Sabana Blanco, Oranjestad. Since November 2008, they have also added a service center on Curaçao, it is located in Parera, Willemstad and since 18 July 2010, they have also added a Service Center on Bonaire, in Kralendijk. Alejandro Muyale (whose family owned business has been performing "Ground Handling Services" at Aruba Airport for over 30 years now and at Curaçao Airport for more than 6 years) fulfilled his dream of applying for certification with the Department of Civil Aviation. The Economic Authority has been granted, the aircraft, a 36-seater Shorts 360 and a second aircraft was purchased soon afterwards - both from Pacific Coastal Airlines in Canada. Alejandro Muyale, owner, Managing Director and CEO, named the airline after his daughter Tiara Muyale. The word "tiara" is derived from Latin, meaning "crown". Tiara Air flies from Aruba to destinations Bonaire, Curaçao, Riohacha in Colombia & both Maracaibo & Punto Fijo/Las Piedras, Venezuela. There are daily flights to Curaçao & Punto Fijo/Las Piedras, Venezuela and scheduled flights to Bonaire & Riohacha, Colombia (for detailed information on the flights you can consult their website) Tiara Air will be adding new destinations to its regular routes and consequently the market will dictate future developments. A Tiara Air Short 360 at Aruba Airport in its Old Colors(2011). Routes like Bonaire and Riohacha are limited due to weight restrictions and although the plane carries 36 passengers, the flights to Bonaire are usually limited to 33 passengers and Riohacha flights are usually limited to 30 passengers. 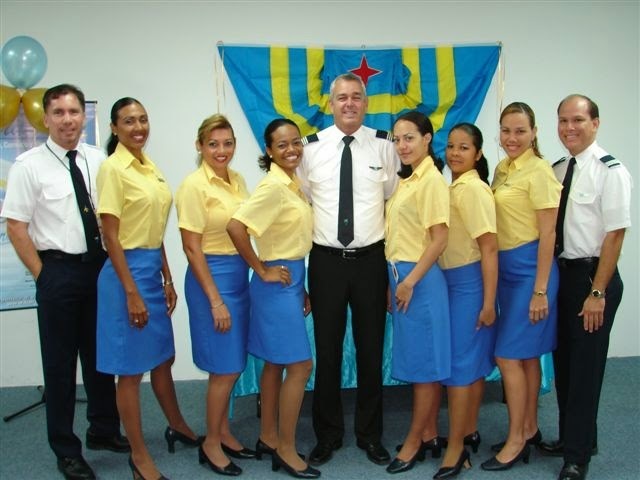 As of October 2010, the airline now offers various new services to customers in the form of the option for online check in, new cargo services which is available for operations between the islands of Aruba, Bonaire & Curaçao and also including the airport tax for the islands of Aruba, Bonaire and Curaçao, in purchased tickets. In March 2011, the airline announced it would be soon offering Air Ambulance Services, which will be operated with an advanced life support-equipped Learjet 35 with pilots, medical and nursing staff that are 24 hours on call. Service will currently be offered to Aruba, Bonaire and Curaçao. In addition to the Air Ambulance service, the airline has announced it will begin service to 3 new Colombian destinations, after complying with all the requirements and norms based on the rules and regulations of the Aeronautics of Colombia better known as RAC. The petition of Tiara Air was approved to provide International Air Transport service to both passengers and cargo in the newly announced Colombian routes. Tiara will soon be offering flights to Cúcuta, Rionegro & Armenia in Colombia which will be operated by a Boeing B737. Tiara Air strives to stick to its current slogan, for being On Time, Accommodating and Sympatic.